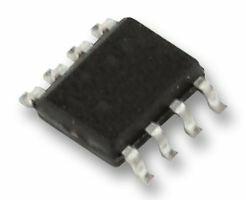 The ability to operate from a single power supply of 5.0 V to 30 V or $15 V split supplies, as commonly used with operational amplifiers, makes the LM211/LM311 a truly versatile comparator. Moreover, the inputs of the device can be isolated from system ground while the output can drive loads referenced either to ground, the VCC or the VEE supply. This flexibility makes it possible to drive DTL, RTL, TTL, or MOS logic. The output can also switch voltages to 50 V at currents to 50 mA, therefore, the LM211/LM311 can be used to drive relays, lamps or solenoids.